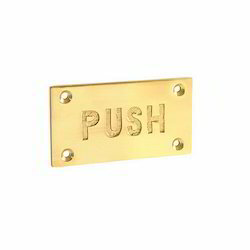 Leading Manufacturer and Exporter of Finger Plate such as Push Finger Plate, Fingure Pull Plate and Georgian Finger Plate from Aligarh. 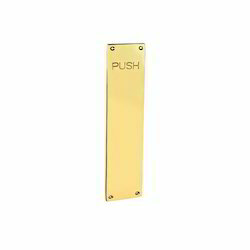 Since our establishment, we have become the well-known manufacturer, exporter and supplier of a high quality array of Push Finger Plate. The offered range is manufactured by utilizing high grade raw material and advance technology by our skilled engineers. Apart from this, our range is tested on various parameters in order to ensure its sturdiness and quality. Clients can avail these products from us in different sizes and at affordable prices. 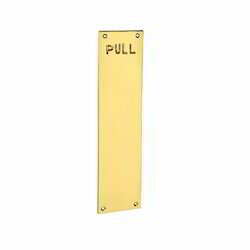 Consistent innovation, coupled with an alert understanding of customer's needs & demands, makes us the most renowned manufacturer, exporter and supplier of Fingure Pull Plate. 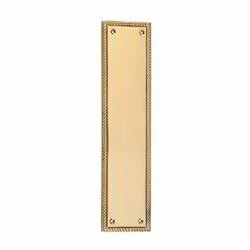 These offered lever locks are designed by our professionals in compliance with international quality standards. Our provided range is manufactured using the latest technology, innovative machines and the finest raw material. 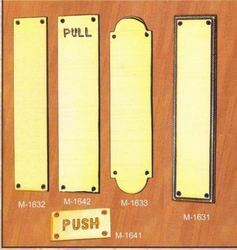 Moreover, these plate are tested on various stringent parameters to ensure their durability and quality. 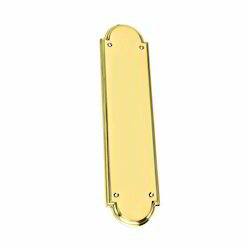 With vast experience and knowledge we are engaged in offering a comprehensive range of Finger Plate. 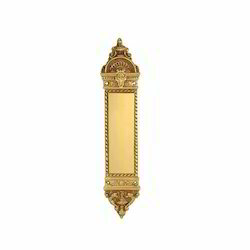 We manufactured this using superior quality material which we sourced from the trusted and reliable vendors of the industry. 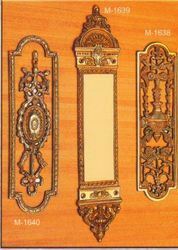 In addition to this, these are highly appreciated among our clients due to their superior finish and competitive prices.